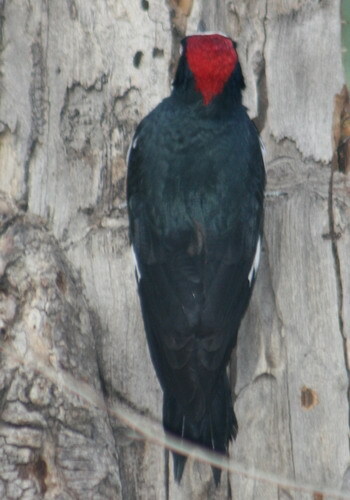 May I introduce: Melanerpes formicivorus, aka Acorn Woodpecker. These pretty redheads can be found in Griffith Park – if one knows where oak trees grow. 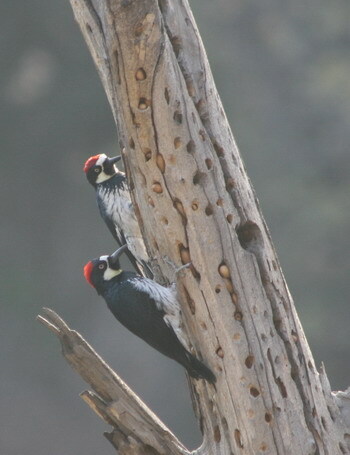 Acorn Woodpeckers lead a busy life drilling holes into dead trees and collecting acorns to stick into the holes for later consumption. They also pick dried out acorns out of their holes and stick them into new ones with a tighter fit to prevent them from falling out; this ensures that the life of an Acorn Woodpecker is quite a busy one – tending to the stored acorns takes up a large part of their day. So many acorns, so little time! Plus, these busy birds always have to keep an eye out for the jays. Those pesky lazybones just love to harvest the granaries created by the woodpeckers. 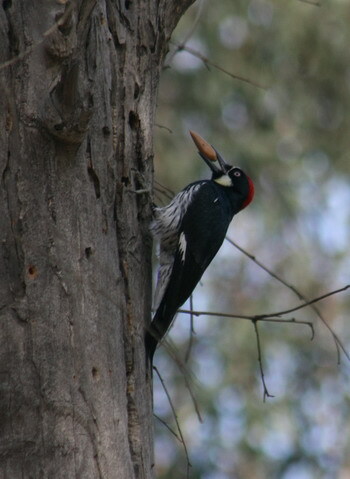 Yes, Woodpecker Central in Griffith Park is a paradise for bird watchers. By the way, that is not the real name of the valley where the pretty redheads live, so don’t try to look it up on a map. Living and learning! 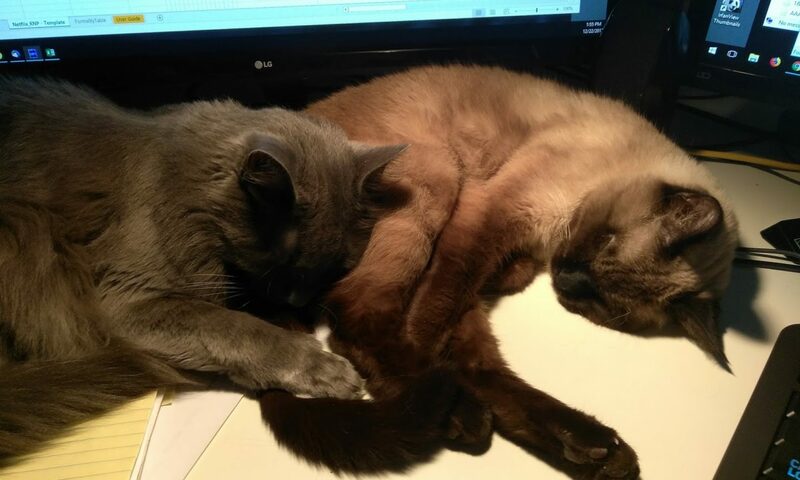 Who would figure that’s their job!